It’s pretty easy to see auras. ANYONE can learn how to do it – including your own wonderful self. You don’t have to have psychic powers or anything like that. 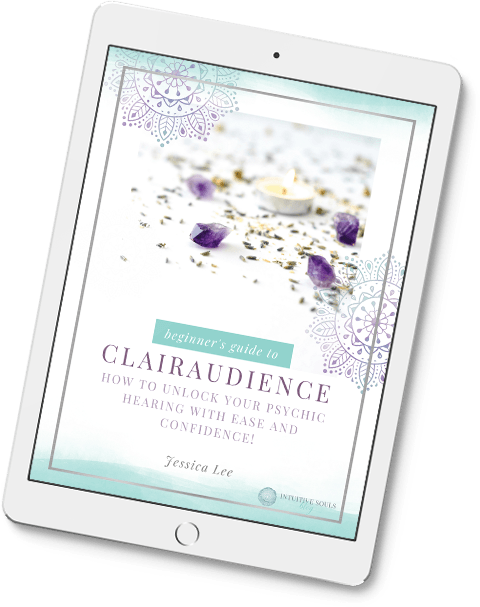 But… since this is a psychic and mediumship development blog, I have to say that learning to see auras is one of THE most fun ways to develop your intuitive gifts – you can even become an aura reader if you want to! Why complicate things? The exercises below are easy peasy. Imagine how much fun it will be to see auras? To be able to see what energetic color is around a person? Seeing or sensing auras is like a box of chocolates — you never know what you’re gonna get: Adorable aqua, radiant red, blah black! Tip: If you have trouble seeing these energetic fields, don’t worry – just replace the word “see” with the words FEEL or SENSE in this post. There is no “one right way to do this.” Many psychics feel or sense the electromagnetic vibrations around a person. You don’t need to see them. Place your hand (palm down) on the paper and separate your fingers, as if you were going to trace your hand. Don’t place your fingers too far apart — be relaxed and comfortable. Look at your hand, but not directly — sort of in between your fingers. Let your eyes go out of focus. It’s a really strange feeling if you haven’t done it before! Within no time at all, you’ll begin to see a glow around your fingers. That’s the first layer of your aura! Yipee! Try this one during the day so that you can leave the bathroom lights off. That way, the light won’t glare in your eyes. Plus, it creates a relaxing atmosphere! All you need to do is look at yourself in the mirror. Yes, it sounds really weird, but remember, you’re not going to be staring at yourself in a Mirror, mirror on the wall, sort of way. Again, let your eyes go out of focus and you will begin to see a soft glow around you. This is by far my FAVORITE way to see auras. Have your partner stand or sit in front of a wall. Make sure the wall is sort of plain, cream color – no geometric wallpaper or yellow walls. Sit or stand back about eight feet. Look at their forehead, focusing on the “third eye” area, between the eyebrows. Once you stop laughing, imagine you are seeing THROUGH your partner, to the wall BEHIND them. Tip: The further back you can imagine looking, the more energy you’ll be able to see. Your goal should be to “see” a foot past them, eventually. Your eyes will go out of focus, and it shouldn’t take long for you to begin to see the energy around your partner. When I did this with my son, I started out by seeing just the first layer of his aura, a few inches around his body. The more I practiced, the more I could see. One day, I finally saw a phenomenal, whispy yellow glow that extended about two feet all around his head and shoulders! I’m not a doctor and I don’t play one on the internet, but I’ve heard that peripheral vision is stronger than the part of the eye that we primarily use to focus, called central vision. If it’s safe to do so, look straight ahead, and, without moving your eyes or head. What can you see out of the corners of your eye? Try this exercise a couple of times a day. It’s helpful because using your peripheral vision will enhance communication between the two hemispheres of your brain. Is seeing auras fun? Absolutely! But besides being fun, studying aura colors can be super duper helpful in life. Let’s say that you notice your aura is a blah, murky green color. Armed with your aura knowledge, you can learn how to make your energetic fields vibrant and razzly-dazzly again. If you’d like to rely on technology to see your aura, there’s great news! The Aura Imaging Camera was invented by Guy Coggins in 1980. There’s also bad news. Aura cameras are really expensive. Plus, who wants the hassle of learning to use it? I found these fun aura glasses on Amazon. You definitely don’t need them, but they do look like fun! Anyone can lean to see auras. Don’t freak if you can’t see them. Sensing or feeling energetic fields is great, too! There are many different ways to learn to see auras — just find the way that is most fun for you. Aura knowledge can help make life better. Why? Because our aura colors reflect how we feel. So if you want to improve your murky aura to one that is vibrant and sparkly, aura knowledge can help you do that! Very cool! I did the exercise with my hand on white paper and saw a very clear pink aura! I will work on this idea with others while I’m out and about. Thanks! How long before you were able to consistently see the colors of the aura? I’m wondering because I see the colors randomly. Thanks! I put my hand against white paper. I saw a few different colors in order of 1) yellow, then 2) green, then 3) blue, then last 4) purple. I took my hand away and did it again, and the same order of colors appeared. I think that is the order of the chakras. Wondering what that means?? Thanks. I’ve been practicing this for a little while, but only see the color white. It always looks like a thin layer of white around the person or object. I’m just wondering why I don’t see color? I’ve been struggling with myself in developing my intuition (sort of how you described yourself early on), but I thought I would give the hand-on-paper exercise a shot and immediately saw soft red. Thank you for sharing these exercises. It helped boost my confidence at a time when I’m trying to decide what I should be doing.